One of our all-time favourite family kitchen job is shelling peas. 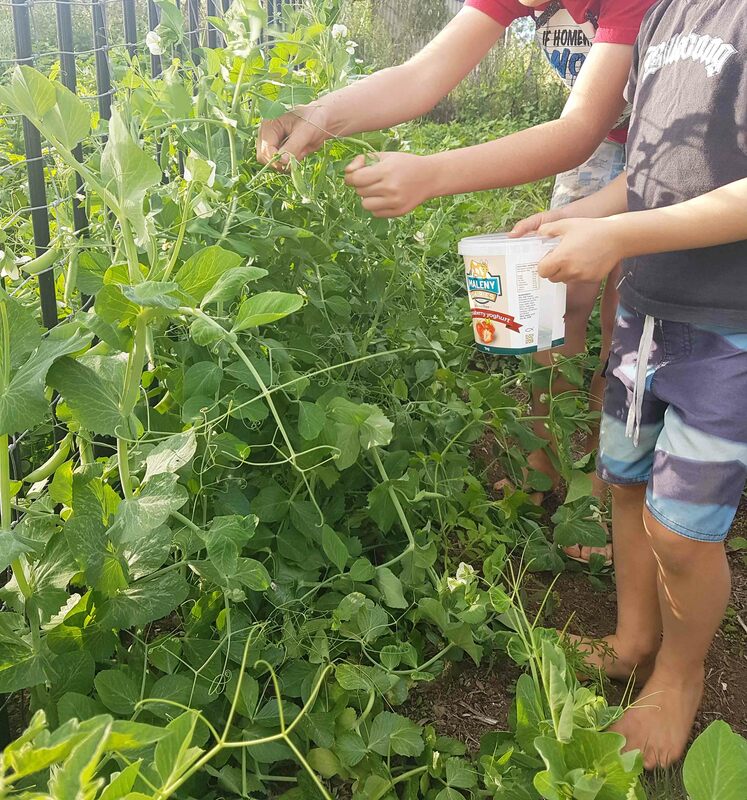 The fighting begins over who gets to pick the peas in the garden and ends with who gets the job of snapping the pods open and popping the little green gems into the bowl. Peas are so easy to grow and oh so tasty! Snap peas are peas that are grown for their pods and are called delicious names like ‘Sugarpod’ and ‘Sugarsnap’. Garden peas are shelling peas and are grown for what is inside the pod. ‘Greenfeast’ is my personal favourite, but ‘Bounty’ and ‘Telephone’ are also great in the home garden. Peas are either climbers or dwarf compact type. If you aren’t keen on putting up trellises and are working in a smaller garden, a dwarf variety is a good space-saver. A sunny, open frost free position in the garden is great. If you have soil that has been cultivated and some composted manure mixed in a few weeks before planting, all the better! TIP: Dig in some composted poultry manure like Super Booster Pellets! This adds organic matter to the soil and provide nutrients for growth. Sow seeds into damp soil at least 10cm apart. Water after a couple days but be careful not to overwater and cause the seeds or new shoots to rot. The best time to plant out your peas is during the cooler months as this is when they grow best. Frost can damage the plants, so in colder areas, planting can be done during Spring. Early morning watering is the best time as this allows the plants to dry out during the day, making them less susceptible to disease. It is best not to wet the leaves as this encourages mildew. TIP: Water when the soil feels dry. Peas are sensitive to over-watering. 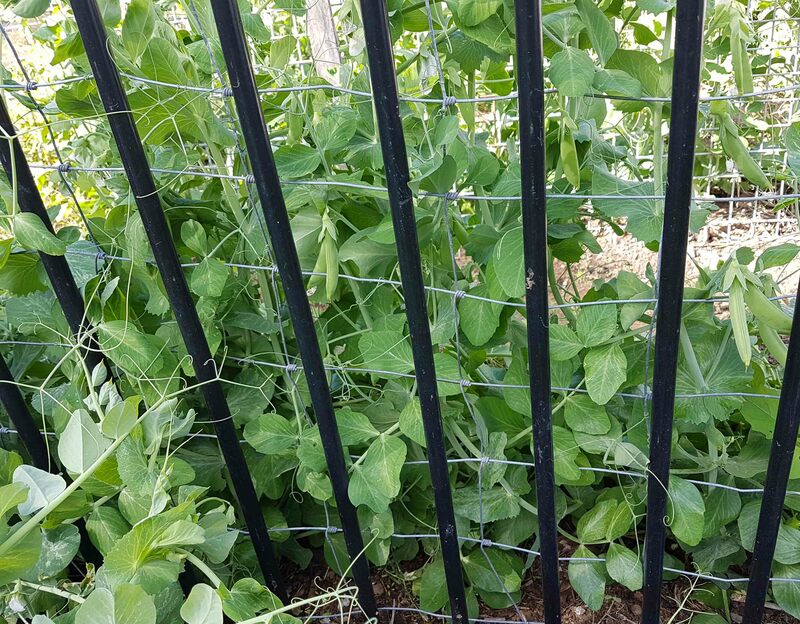 Climbing peas will need a trellis to support them as they can reach around 2m high. Wire panels or a tee pee work well as air can move freely around the plants. Most other types of peas including the dwarf varieties will need some form of support. 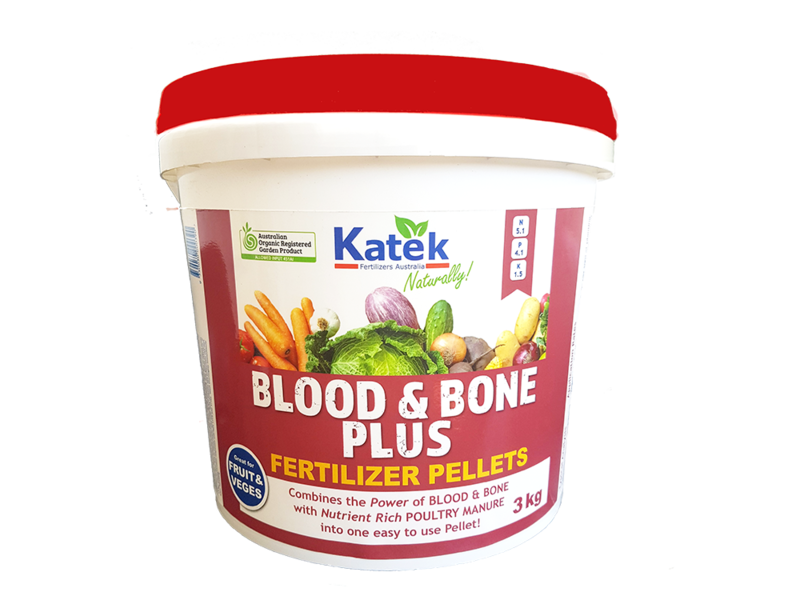 Peas will respond well to Blood & Bone Plus pellets every 4-6 weeks while they are growing. Regular application of a seaweed concentrate every 2-3 weeks is also recommended for overall plant health and to help protect against pest and disease. Neptune Liquid Seaweed can be applied to the soil and foliage. Mildew is the most common problem to affect peas. Watering in the morning and only at the base of the plants can minimise this fungal disease. TIP: Seaweed contains natural growth stimulants, which make the plant stronger and less prone to disease. A liquid seaweed like Katek Neptune is used to help defend plants from diseases like powdery mildew and help increase yield at the same time. Generally, peas are ready to be harvested at around 11-14 weeks. Regular picking helps to encourage repeat flowering, so the more you pick, the better your yield! To keep a continuous supply of peas heading to your kitchen, sow the seeds at regular intervals over the coming months. See next article in our how to grow series!